KIITEE 2017 Application Form: Kalinga Institute of Industrial Technology Entrance Examination was conducted to take admission in UG, PG & Research programmes in various streams at KIIT University. The aspirants who are all want to get admission in Engineering, Arts, Science and Management courses, can apply for KIITEE 2017. The official recruitment board was recently released the KIITEE Application Form 2017 on their digital web portal. The KIITEE Exam 2017 has been conducting for those candidates who looking for the admission in various courses which is offered by the top institutions of our country & KIIT. If you want to know full details regarding KIITEE 2017, then read this article fully. Here, we discuss about the eligibility criteria, age limit, fee details and academic qualification. For further information, stay tuned with us. The students who completed 10+2/ HSC or its equivalent with 60% of marks from any recognized board, can eligible to apply for KIITEE 2017. The applicants who was born after 1st July 1996, can eligible to appearing in the KIITEE 2017. For further details, go through the official notification. There is NO Registration fee for KIITEE Exam 2017. B.Tech, B.Tech (Lateral Entry), B.Tech in Architecture, MBA, BBA, BCA, MCA, MCA (Lateral Entry), MTech. MCA/ MCA (Lateral Entry): Mathematics, Analytical & Logical Ability, Computer Awareness. The process to apply for KIITEE 2017 is given under here. You can register by complete the following steps and procedure. Logon the University in Bhubaneswar site (www.kiitee.ac.in) or examlevel.com. Then find & visit the registration link. 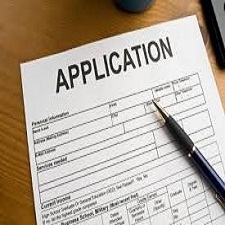 Next fill the application form with your basic information such as Name, Address, Phone, Mail. Then they will provide the user name & password. Use of that, login your profile. Inside that, fill the KIITEE Application Form 2017. After completed all the process, submit the application form with required documents. Finally, send the hard copy of the form to the under given address. For any queries related to the KIITEE 2017, then immediately contact: 0674-2742103 / 2741747. They will help you to solve the problem shortly.